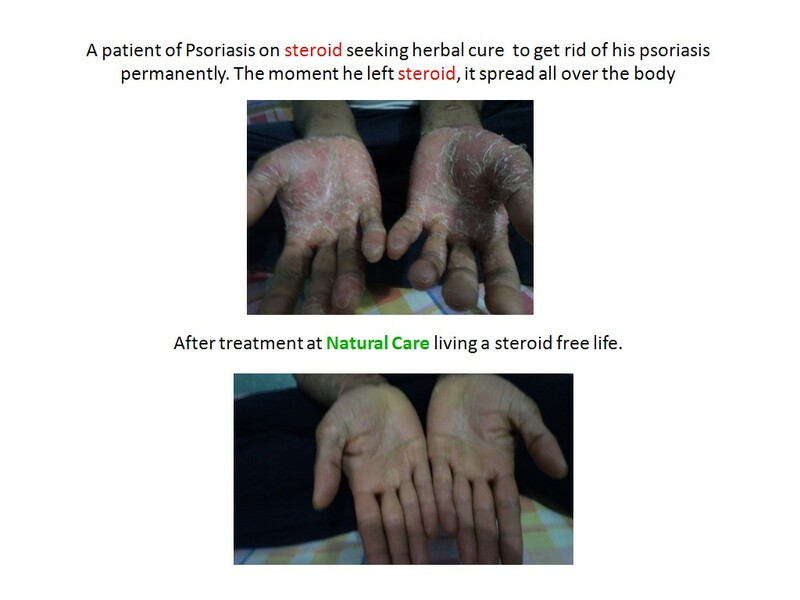 Magical effect of herbs on Psoriasis. ﻿Allopathy says its incurable﻿. They give steroids to suppress it. and as a side effect of steroids many more problems are induced in the body. Even the wikipedia, which many people think is independent, says no cure available. Do you still believe them after seeing the results. These pictures tell all the stories. 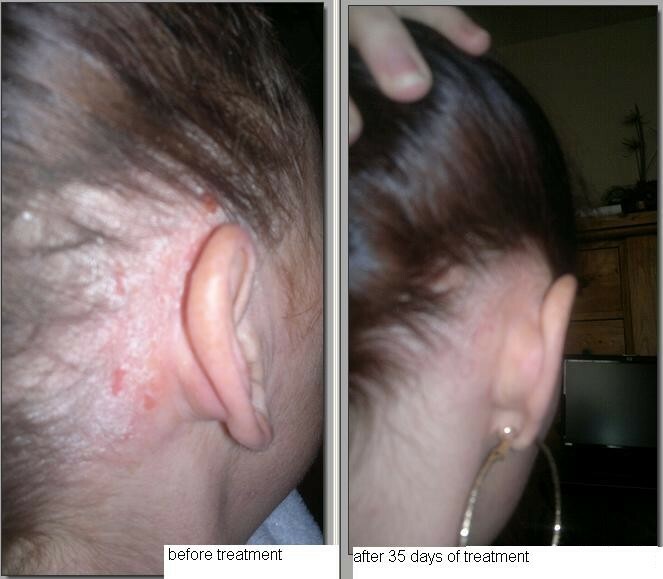 34 years old Emma was suffering from Scalp psoriasis for the last 25 plus years. see the result in just 1 month of treatment. This 28 years old lady was suffering from psoriasis for the last 18 years. See the improvement in less than 6 months. 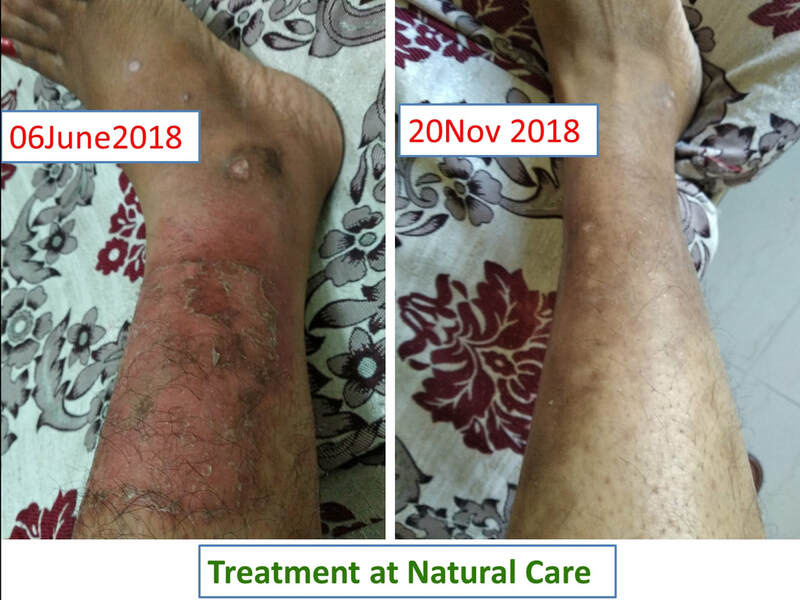 This 29 years old man traveled more then 800 kms to meet us and seek the remedy for his psoriasis, he was suffering from his childhood and was suppressed by steroids. The herbal treatment at Natural care didn't let him down. 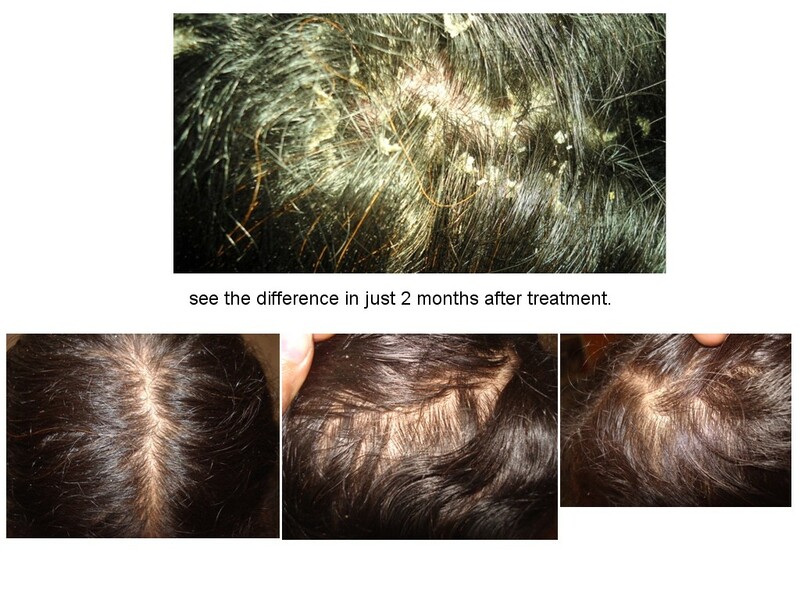 _ 28 years old Mrs. Chaya from Hyderabad, was suffering from scalp psoriasis for the last 5 years. See the result in 2 months of treatment. 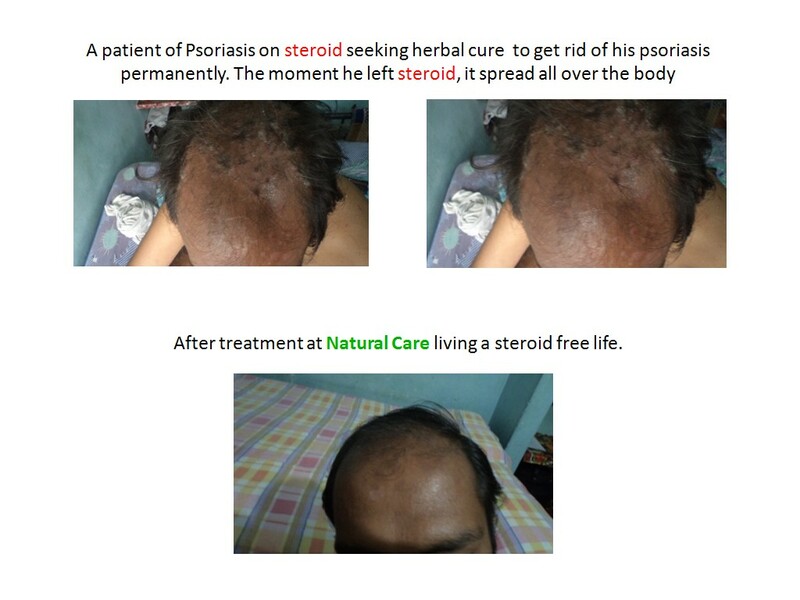 This 38 years old male from Hyderabad, India contacted us for his scalp psoriasis. He was suffering from this problem for the last 4 - 5 years. His scalp psoriasis got cleared in just 15 days. 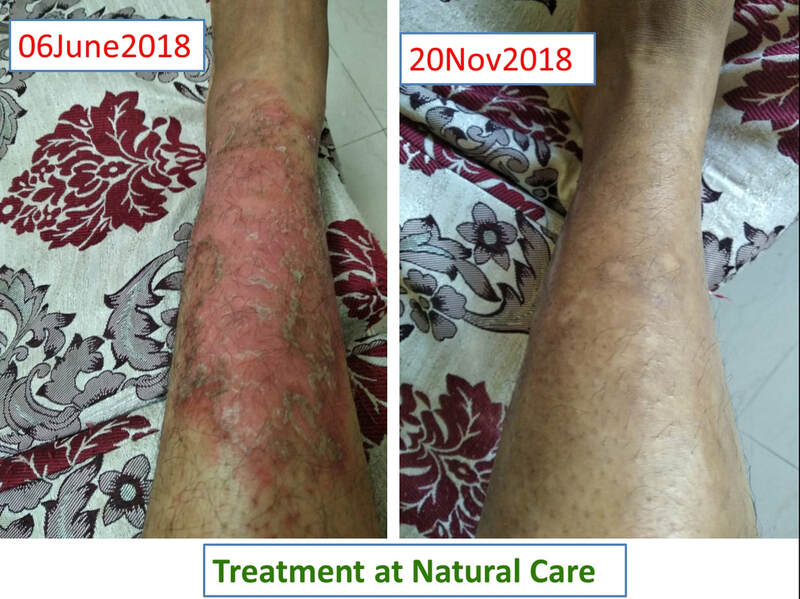 This 57 years old female a surgeon at one of the most prestigious hospital of India and a professor at a medical college, contacted me for her psoriasis in the hands and legs when she was not able to control it with the steroids and was unable to hide it under the cloths. She reported good improvement in her condition in 1 month time. 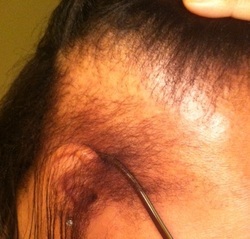 He came for his scalp psoriasis, red patches with itching, fluids ozzing out and flaks coming out of the scalp. He reported excellent progress in 2 weeks and after 2 months of treatment, he got rid of his problem. This 34 years old patient from NC, USA debunks the advertisement done by a superstar athlete for a big pharma company. Read it carefully and save your near and dear ones from the cheats. She was suffering with psoriasis for the last 20 years and was also a part of the drug trial of a conventional medicine advertised by a superstar athlete which made her life hell. 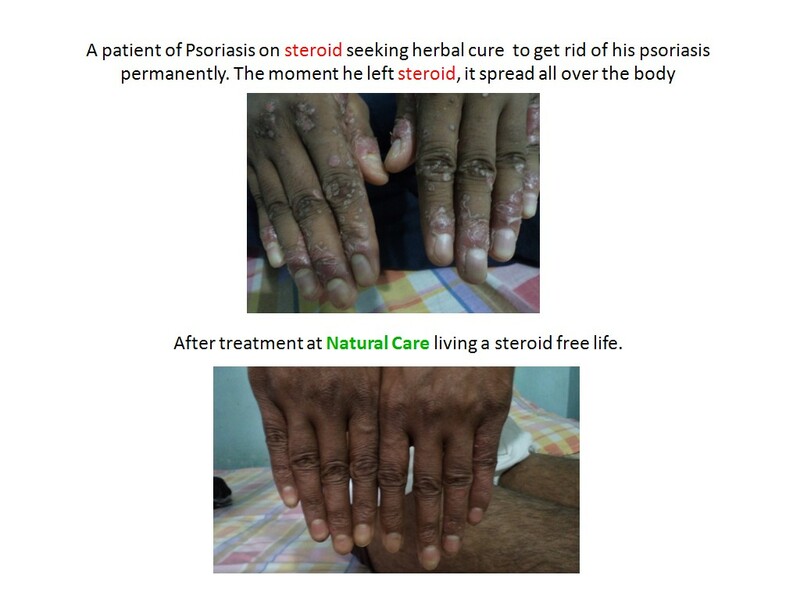 This 41 years old male came to us from Bangalore, India to get rid of his psoriasis. His both palms, and feet were dry and cracking and pus oozing out from several places. And it was very painful. He reported significant improvement in 2 weeks time. See her wife thanking us after this significant improvement. 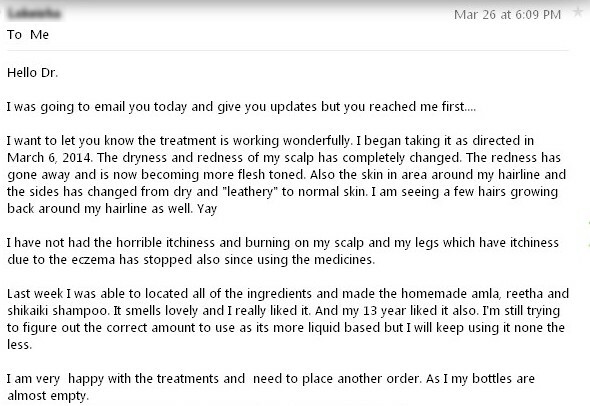 This 42 years old lady from Vadodara, Gujarat, India, contacted us for her psoriasis problem. Both her palms were dry and cracking. She reported good progress in 1 month time.